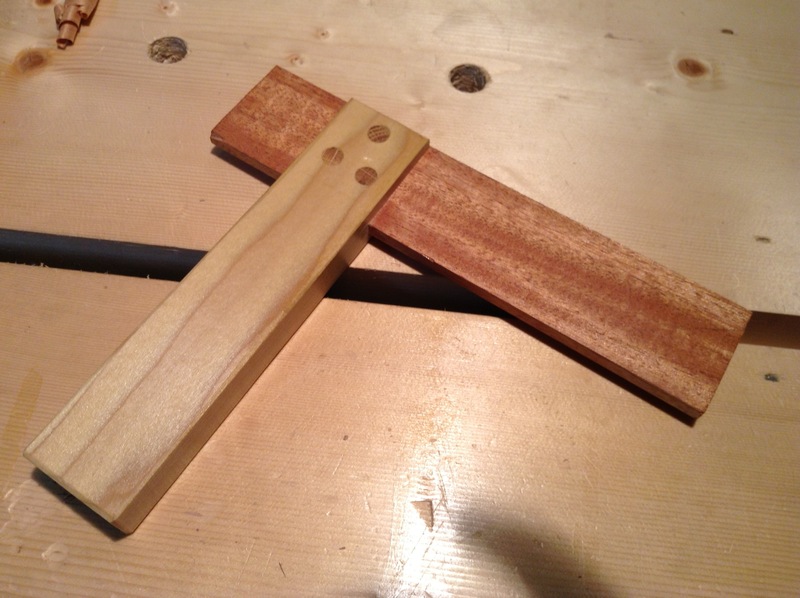 The title of this post is similar to a post I had written about my favorite marking gauge. What makes them my favorite? They are tools that I have made for myself. In the future I will be able to use them to make more of my own tools. 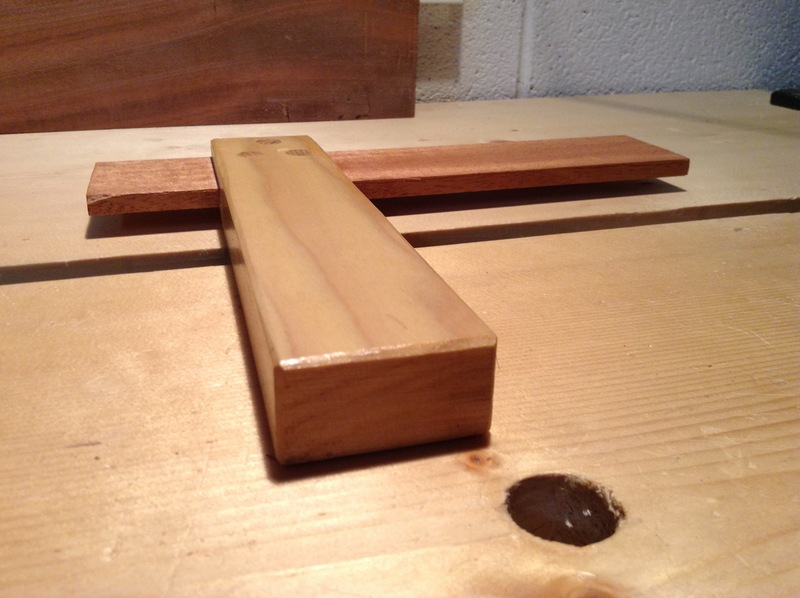 In fact, I did use the marking gauge in the process of making this square. I followed a couple of resources when planing to build the square. 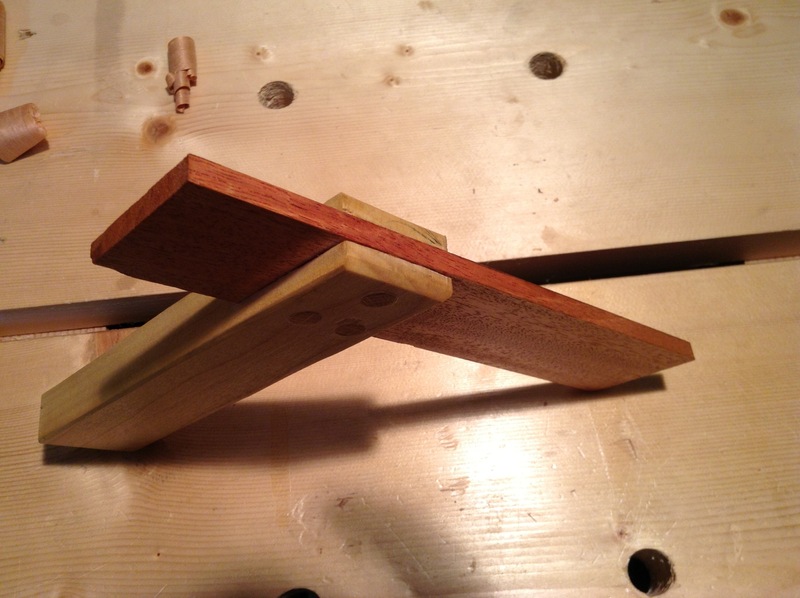 You can check out ‘The New Traditional Woodworker’ by Jim Tolpin, for his version or ‘Hand Tool Essentials’ which includes the article by Adam Cherubini on making the wooden square. Although I deviated some from their designs to make it my own. Instead of cutting the blade and handle first, I decided to cut and fit the bridle joint first. I didn’t plan on this approach, I just couldn’t decide what size to make the square at the time. 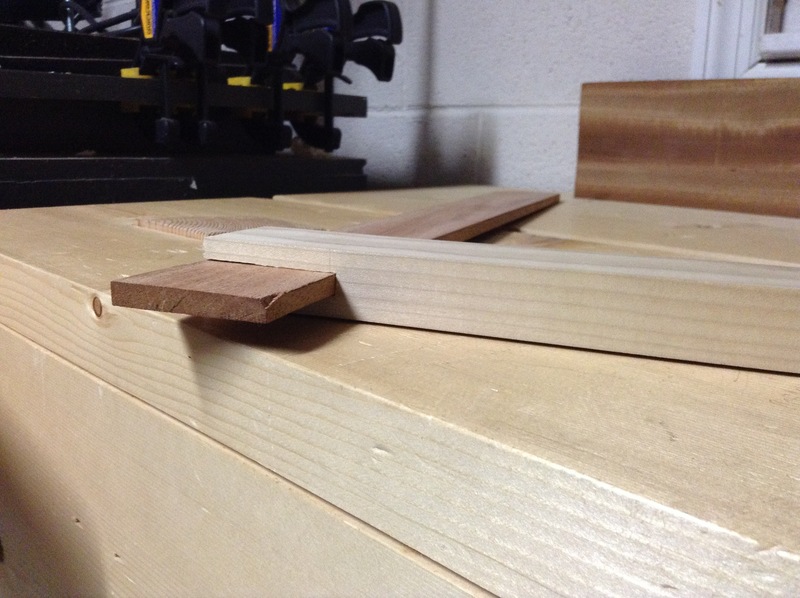 I cut the bridle joint by first laying out the joint with a mortising gauge and the marking gauge I made. I made sure to leave some extra room for the blade to extrude above the handle. This would allow me enough material to plane away while squaring up the square. I cut out much of the waste with my tenon saw, and then cleaned up the rest with my mortising chisel. I reached for my current square for the next, most important step. 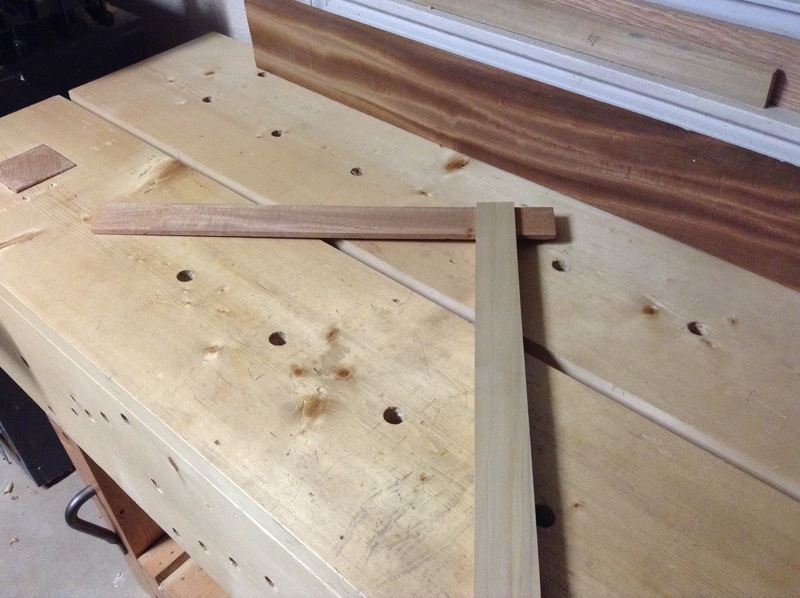 I pared away the bottom of the mortise checking against the square frequently. When satisfied, I glued in the blade and set it aside for the night to dry. The next day I searched for some dowel stock in the scrap bin. I located enough stock that was left over from my workbench build. The handle is maple, and the blade sapele (I think), so why not add some red oak. 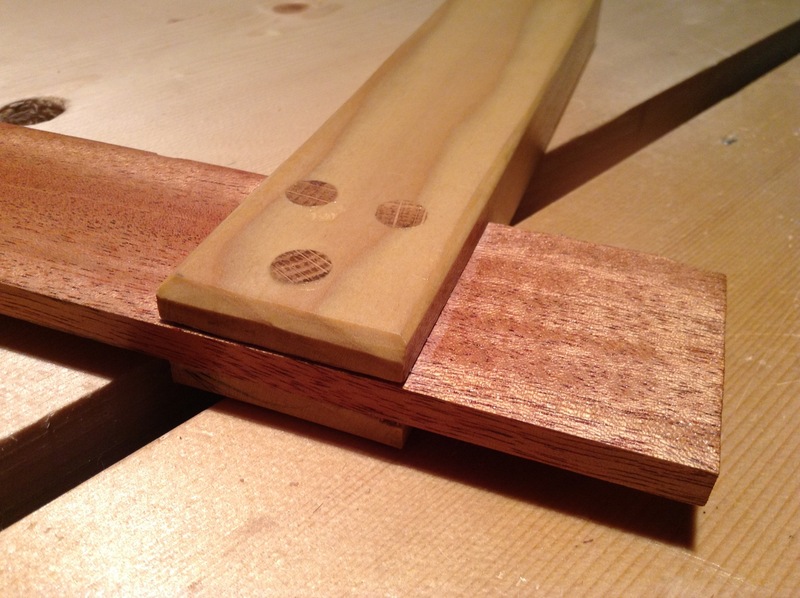 I drilled some 3/8″ holes for the pegs, and pounded them in with a little bit of glue. Next up was decision time. How big or small of a square should I make? I ended up going for a 6″ square after the mental coin flip. I plan on making at least one more of these. I’m thinking about a short pocket square for checking edges for square. However, I think for now I’ll use this 6″ square for some time and reevaluate. I have a desire to build a larger square (12″ plus) some day, but it will be the Chris Schwarz version. After cutting both the blade and handle to length, I put the square to the test. I used the old flip the square and compare the lines trick. I first learned of this trick from Bob at Logan Cabinet Shoppe. I’ve seen it a bunch of places since then, but he explains it the best…google it. The square was only off by a little…a few passes down the length of the blade did the trick. Before finishing, I chamfered all the edges of the handle for a nice smooth fit in my hand. The handle does seem a little longer than it should be in comparison to historical references. However, I like the way it feels in my hand and it still has good balance. Besides, I have yet to find a good reason for the historical ratio that one should follow when building a square. Will see how I like it after a few months of use. For the finish… I wiped on a few coats of shellac and called it done. I can’t wait to use it on my next project. 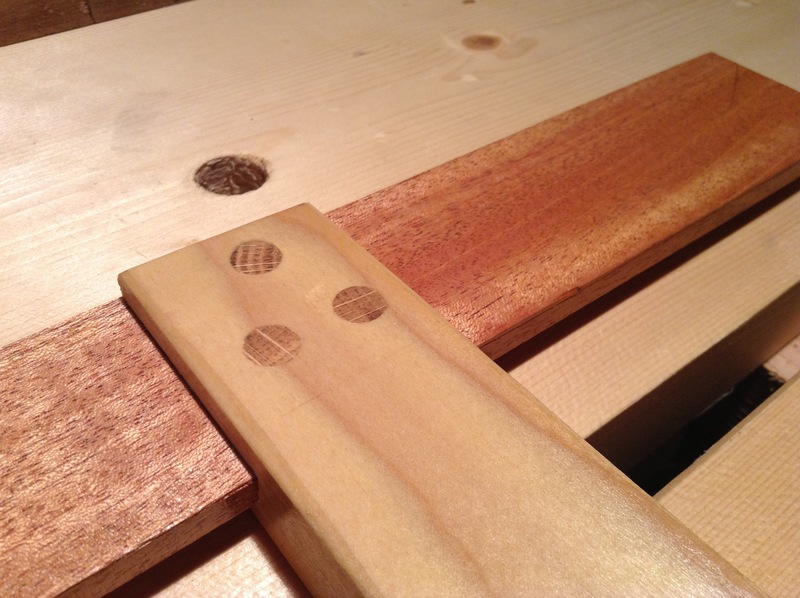 This entry was posted in hand tools, VCF, woodworking and tagged hand tools, Try square, woodworking by villagecustomfurniture. Bookmark the permalink.